Saudi Arabia plans to host a leaders’ oil summit later this year for OPEC and non-OPEC countries participating in a supply cut pact, two sources familiar with the matter said on Friday, Reuters reported. Saudi Crown Prince Mohammed bin Salman met President Vladimir Putin at the Kremlin. Russia and Saudi Arabia played the opening match of the soccer World Cup, which Russia is hosting. 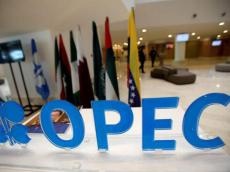 An OPEC source described the summit as an idea which would be developed into a proposal, and a second source said it would be discussed at next week’s meeting of energy ministers in Vienna, where the supply-limiting deal will be reviewed. OPEC, Russia and other non-OPEC producers have been cutting output since January 2017 to get rid of excess supply. The producers meet on June 22-23 in Vienna and will discuss a gradual easing of the supply cut.